Springboard was proud to attend the regional Engineering Development Trust (EDT) awards evening on 3rd July at Arup, London. The awards evening celebrated the successes of Year in Industry (YINI) students throughout the South East region and was an opportunity for STEM professionals across various fields to come together to support up and coming talent in the industry. Springboard’s own YINI student, Lucy Bennett, was one of 8 finalists who gave a short presentation on the contribution they had made to the company during their year. Lucy discussed many aspects of her year including the diverse role she had fulfilled in working through various stages of projects including writing proposals, weekly presentations to clients and writing sections of reports. Her passion for promoting diversity within Engineering was clear to see through the various initiatives she had driven throughout her year at Springboard; these include being a delegate at WES conferences, attending IET Women in Engineering Awards evenings as well as designing and running a 5-week STEM project at a local primary school. Lucy also demonstrated her considerable technical skill through a case study on a recent heart surgery project where her ability to contribute to projects at a high level was evident. All eight Year in Industry Students gave phenomenal presentations; their achievements and the contributions they had made to their companies were exceptional by any standard.  These ranged from writing a white paper on sustainable transport in Wales, to improving the performance of a weather anemometer by up to 30%. The two students chosen to progress onto the national finals in September were Eloise Knights from Carbon footprint, and Springboard’s Lucy Bennett. Both students showed solid technical understanding of their subjects, proficient presentation skills and an undeniable enthusiasm for Engineering. The audience, of around 150-200 STEM professionals and fellow Year in Industry Students, were asked to submit a vote for the Audience Choice award, sponsored by Bion. Jane High, Director of Bion, announced Lucy Bennett as the winner for the award, and gave a special mention to Springboard for the opportunities they gave Lucy that allowed her to drive the STEM initiatives forwards. 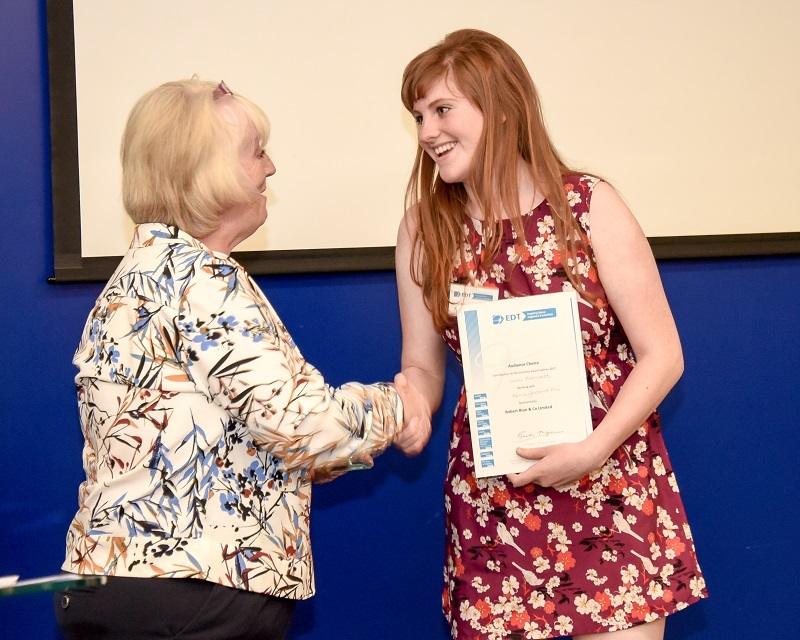 Further awards included the South East Year in Industry Student of the Year which was presented to Evie Raynes for her creative video entry, as well as three highly commend students, Lucy Bennett, Springboard Pro, Ross Brogan, Centrica, and Dierbhile Sharkey, Bion. You can see Lucy’s video here. Overall, the event was great opportunity to showcase the up and coming talent in the industry and Springboard looks forward to the next stage at the Future Industry Leaders event in September. Springboard recently attended this year’s annual WES conference, ‘Get connected: Empowering women and enriching careers’, held at University College London (UCL). The event brought together Engineers from diverse backgrounds and disciplines, offering networking opportunities as well as a programme of talks packed with information, advice and coaching. The morning plenary, ran by Madeleine Morgan, focused on confidence and communication in career decision-making and revolved around the pyramid of career success. This emphasised the importance of the different aspects of career progression – from setting ambitious goals to having the resourcing around you to succeed. Perhaps one of the most insightful parts of the day was a panel of representatives from three women’s networking groups discussing the value and role of such groups. Camilla Ween, WTS London, Maxine Symington, WiN UK, and Liz Bacon, STELLAR debated questions from the audience which ranged from the difficulty in naming a group – do you have ‘woman’ in the title? – to what are the key objectives a group should have. This was challenged and complimented by audience contributions of their first-hand experiences of women’s networking groups. Further talks informed attendees on a range of topics from registration and chartership, to flexible working and how to get your employer on-board. Jacqui Hogan from MentorSET spoke about the many benefits for mentors and mentees, as well as how the MentorSET scheme is playing a crucial role in encouraging girls and women to pursue a career in STEM. Overall, the day gave Engineers the opportunity to come together to focus on the issues women face in STEM, learn about techniques for overcoming adversity, and ultimately be more successful Engineers. The conference proved invaluable in linking up female Engineers in an industry that is particularly sparse of women. 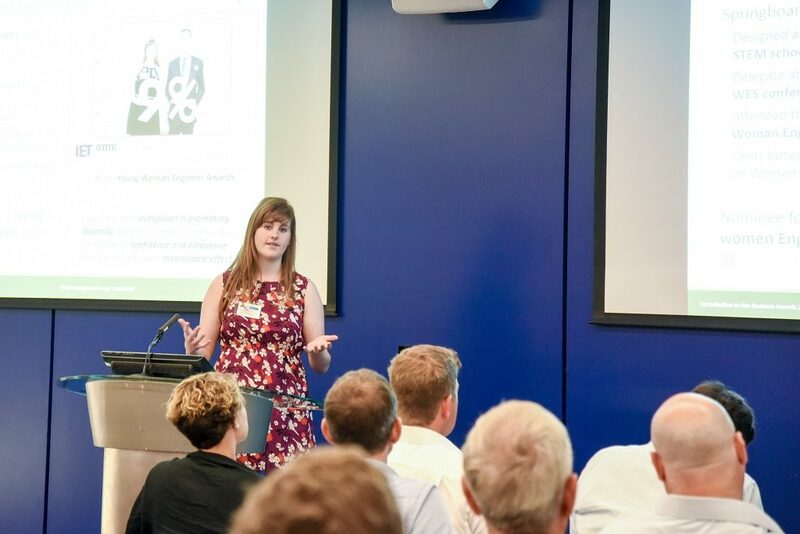 Lucy Bennett, Springboard’s Year in Industry Student and delegate at the conference, has since drawn up an action list of events, ideas and discussions with the aim of increasing female representation within Springboard and the Engineering industry. Springboard recently attended the 39th Institution of Engineering and Technology (IET) Young Woman Engineer of the Year awards ceremony at the IET’s Savoy Place headquarters in London. The event, which recognises outstanding female engineers in the UK, aims to highlight the achievements of young women working in Engineering. Many notable people from the engineering community came out to celebrate the achievements of the young women nominated for awards and to show a commitment to addressing the systemic underrepresentation of women in engineering jobs in the UK. Speakers included Roma Agrawal, the structural engineer behind the Shard skyscraper, who described the journey which has led to her becoming one of the country’s best known female engineers. She stressed the importance of building relationships as one of the key skills for success in engineering, and offered advice on tackling the ‘imposter syndrome’ that many people will experience at some point in their career. Other speakers included the IET President Professor Jeremy Watson and Robot Wars’ resident Engineering Professor Noel Sharkey, who called for comprehensive research to be commissioned into the barriers which dissuade young women from entering a career in science and engineering and how they can be addressed. All the finalists for the awards were inspirational spokespeople for Engineering, with Jenni Sidey, a lecturer at the University of Cambridge, winning the title of Young Women Engineer of the year. The event provided the incredible opportunity to meet and speak with a range of pioneering women in Engineering and share experiences. It has helped raise awareness within Springboard, and provided us all with motivation to do everything that we can to support women in Engineering. 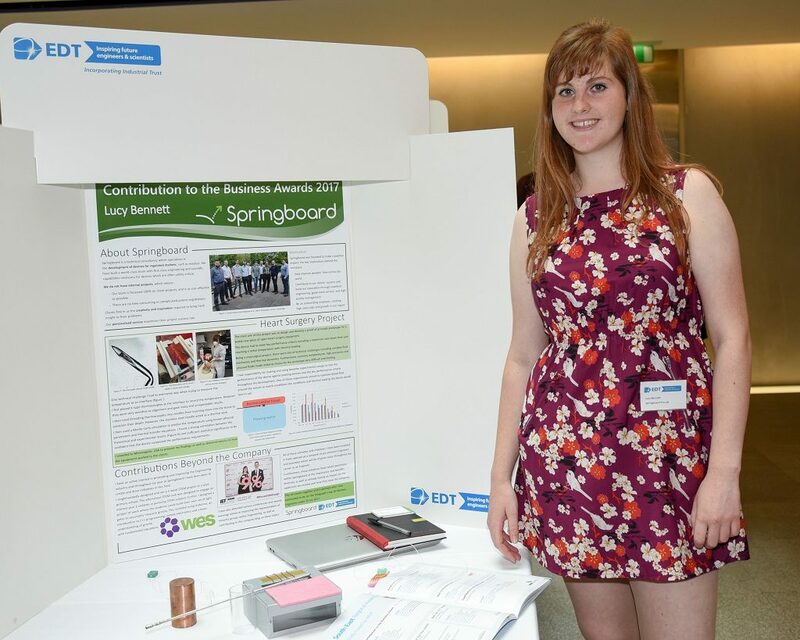 Lucy Bennett, Springboard’s current Year in Industry student, has since become a STEM ambassador to help encourage and inspire the next generation. The Women’s Engineering Society is a charity offering inspiration, support and professional development, as well as a vast array of information and support. 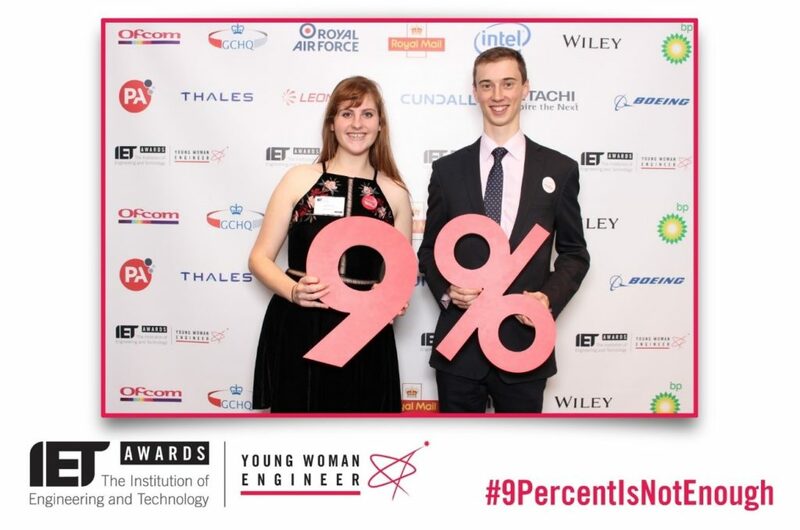 Only 9% of Engineers are female: the #9percentisnotenough hashtag used on Twitter to raise awareness of the underrepresentation of women in Engineering. How to become a STEM ambassador.